Moving your heavy furniture doesn’t have to take much time and energy. 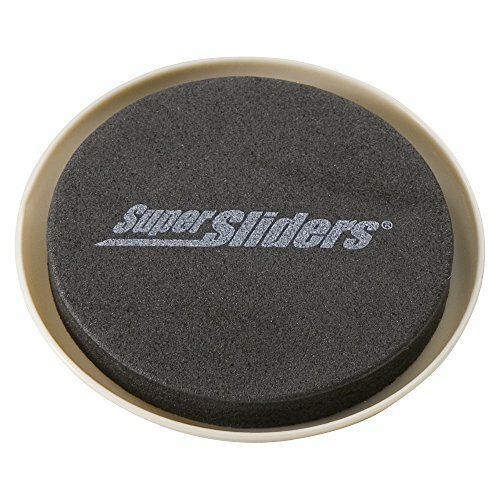 Slide it effortlessly with Super Sliders Furniture Movers! 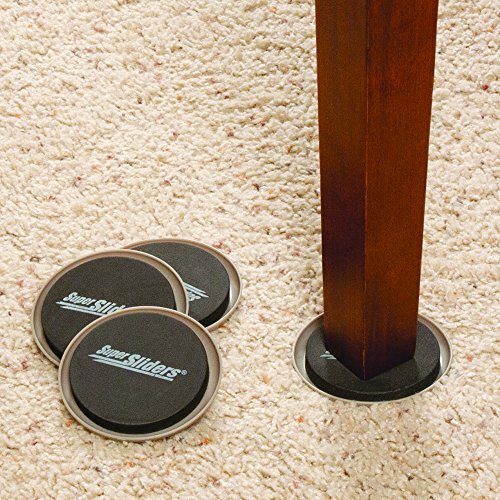 These round sliders allow you to transfer and push your furniture in a quick and hassle-free manner across carpeted surfaces. This 16-pack of movers can be attached at the corner bases of any furniture to provide optimal movability. They are ideal for helping you arrange your furniture when you move into a new place, and they can also serve as a cleaning accessory when you need to move fixtures and appliances to reach areas behind your bed, couches, fridge, laundry machine, and more. 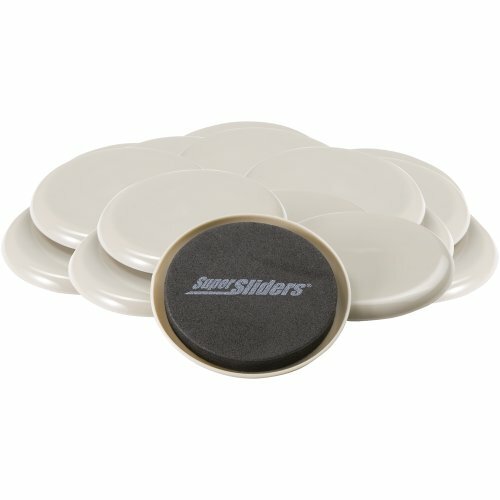 Super Sliders Furniture Movers feature durable rubber foam and hard plastic bottoms that offer superior quality in order to help you properly care for and protect your fixtures and flooring. The durable rubber foam perfectly cushions the bases of your furniture for a firm grip and a long-lasting hold. The hard plastic bottoms, on the other hand, allow you to move your heavy fixtures without worrying about damaging your carpeted flooring. 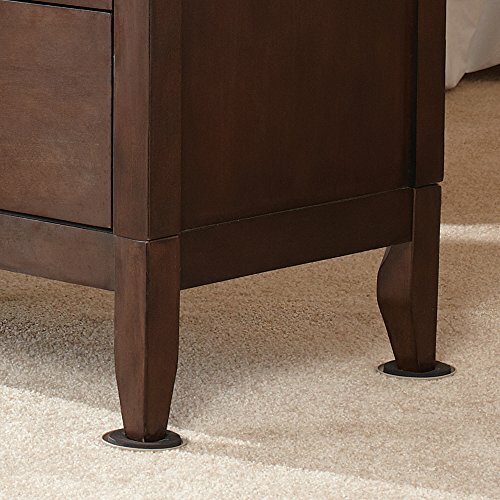 What’s more, these furniture movers are quick to install and remove, making them reusable on other types of furniture. These round sliders are 3½ inches in diameter. They’re great to install in movie theaters, living rooms, bedrooms, bars, museums, and much more. Super Sliders is one of the leading furniture-moving brands in the industry.  Aside from the sliders for carpeted surfaces, they also offer furniture-moving aids for hard floorings such as hardwood, ceramic tile, and linoleum. This product’s ergonomic function and excellent durability will make moving and rearranging your furniture much easier and faster.